Cybersecurity is a priority at Stevens Institute of Technology. Cybersecurity measures, from formal methods, privacy, network and systems security to critical infrastructure, are important to the future of all industries. Training cybersecurity specialists at Stevens means empowering future leaders in the field to prevent increasingly sophisticated and damaging cyberattacks while also protecting consumer and corporate data. To that end, the Department of Computer Science sent student teams to compete in two of the most prestigious collegiate cybersecurity conferences to test their skills: the Northeast Collegiate Cyber Defense Competition (NECCDC) at the University of New Hampshire, and the 2018 Penn State Cybersecurity Competition sponsored by the National Security Agency. The NECCDC team performed well. The Penn State team won. "During one of my internships, a security analyst described incident response (monitoring and responding to malicious activity on a network) as "guzzling a firehose"—there's so much to do and so little time, you might as well be drowning on land," says Malzahn. "NECCDC isn't quite so stressful. I'd say it's more like guzzling a normal garden hose—a little less volume but still not a lot of time." Malzahn and fellow team members Ben Iofel, Andrew Soutar, Nicholas Cyprus, Peter Krasinski, Edward Minnix and Nicholas Antonov are no strangers to guzzling from a firehose. As cybersecurity majors—and computer science majors, in Iofel and Antonov’s cases—they are well-versed in troubleshooting cybersecurity problems in real-time: Stevens curriculum trains them to understand the technical knowledge related to information security as well as the organizational, social, managerial and legal aspects of the field. The department even paid all expenses to enable the team to participate. Even with all that training, NECCDC was tough. "The NECCDC competition is specifically designed to throw more at you than you can handle," says team captain and cybersecurity major Drew Malzahn. "By the end of it every team fails, no questions asked. The goal is not to succeed, but to fail less than everyone else." Malzahn admits that "doesn't exactly sound appealing," but insists the competition is worth it: "the only place you will get experience like CCDC is in the industry, where mistakes cost serious money instead of a couple of points off your score." The last time Stevens participated in NECCDC was in 2016. The team took fourth place. The team did well this year, too. But more important than that was the ability to gain more real-world knowledge in this increasingly important field. "My favorite part about what I do is knowing that I'm playing a small part in a computing revolution," says Malzahn, describing his senior design project performing digital forensics on Internet of Things devices. "Nobody really knows what's going to happen yet. But if the trends continue as they have been, at some point huge portions of our lives and infrastructure will rely on these devices." Kyle Moissinac, another cybersecurity undergraduate who competed at the Penn State competition, was also struck by how much everyone is learning about the field. "The people who put the event together are researchers themselves, so hearing them confess how much they learned from us… it put things into perspective for me," Moissinac says. "Everyone is learning, not just the students competing." The Penn State team, comprised of Moissinac, Malzahn, Iofel, Andrew Soutar and Javier Serrano, was tasked with identifying software vulnerabilities using memory forensics and dynamic and static analysis skills. "Seeing our group fight through each task—and watching other teams score on the leaderboard—made me sharply aware of my improvement areas," says Moissinac. "You sometimes don't realize your weaknesses until they're challenged directly." The last task was definitely the hardest for us. I think that particular question asked us to analyze a binary file without the source code, identify the exact point of memory corruption, and give a summary of what caused the failure. We'd been trying to figure it out for over an hour and we'd been going straight through all day, so we finally had to step away, grab lunch and take a second look. The break definitely helped. We barely squeaked by Penn State's number one team, with our submission registering a half hour sooner (the last problem was the tie breaker, since we tied for points with Penn State’s team). Later, we found out that solving that last problem was supposed to be impossible without computer-aided help. Still solving impossible problems is just what Stevens students’ do. "I came to Stevens because I was looking for more of a challenge—and found it," says Moissinac. "People here are a lot more driven, so it's nice to see some peers really taking on big challenges (course loads, side projects, internships, etc.) and succeeding at them." "The best part of my experience at Stevens has definitely been the people and the opportunities," says Malzahn. 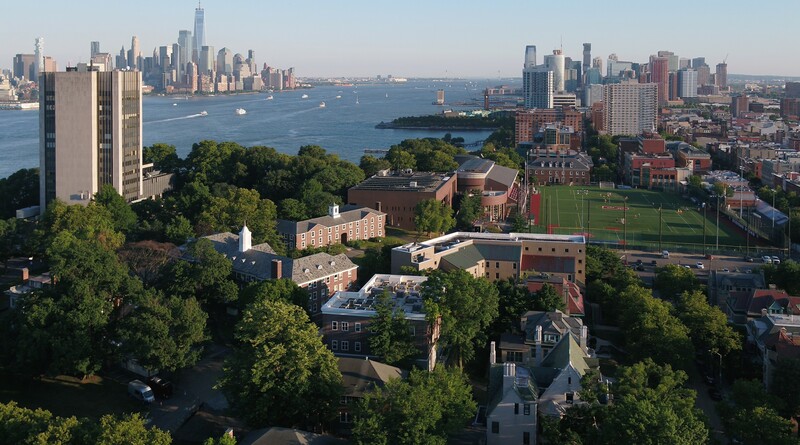 "At Stevens, you are surrounded by intelligent and unique faculty, undergraduates and graduates who will go far—or already have." "I've come to realize that studying here is a seven-day-per-week push for four months at a time," adds Moissinac, "and everything else goes on hold. But I think it's the tradeoff one makes for a better future." Malzahn agrees, saying "I think when people start emailing me for life advice, I'll know I've done something truly important."